Simple idea with charming graphics. I can see this being more challenging with a bigger screen, more enemies variants that home or move around, and even daisy chained enemies to get that really satisfying feeling when you manage to bash through a chain of enemies. Cool concept. I love the ship graphics. 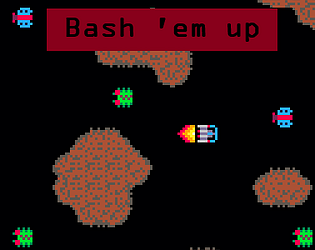 It's a little slow paced for my shmup tastes, but still fun. 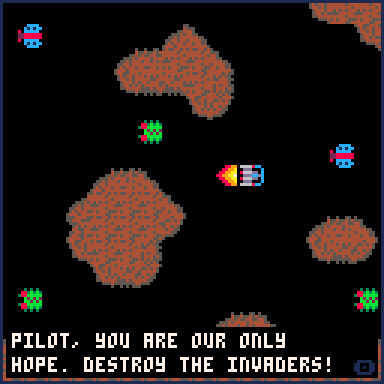 Just picked up pico-8 for this jam, so I can appreciate the limitations. Cheers! Fun stuff! 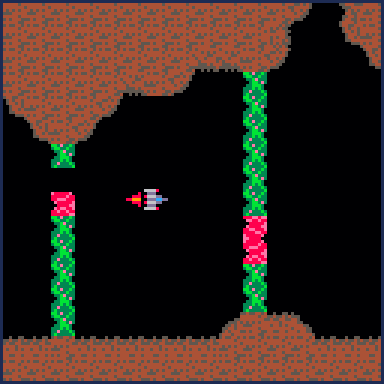 I just started with the Pico-8 a short time ago and for its cute exterior it is actually quite challenging to make games with since you have to build collision detection and instance list data structures and such, which other game making tools do for you. Props!